When you live in a city that experiences a lot of precipitation it can put a damper on constantly running to the market for fresh ingredients. Then, you still have to come all the way home and prepare your meals. Our chefs use organic ingredients to prepare mouthwatering, plant-based meals that are gluten-free and low in calories. There has to be an easier way to enjoy a plant-based diet that doesn’t involve practically living in your rain boots. Healthy meal delivery service in Seattle is your solution! 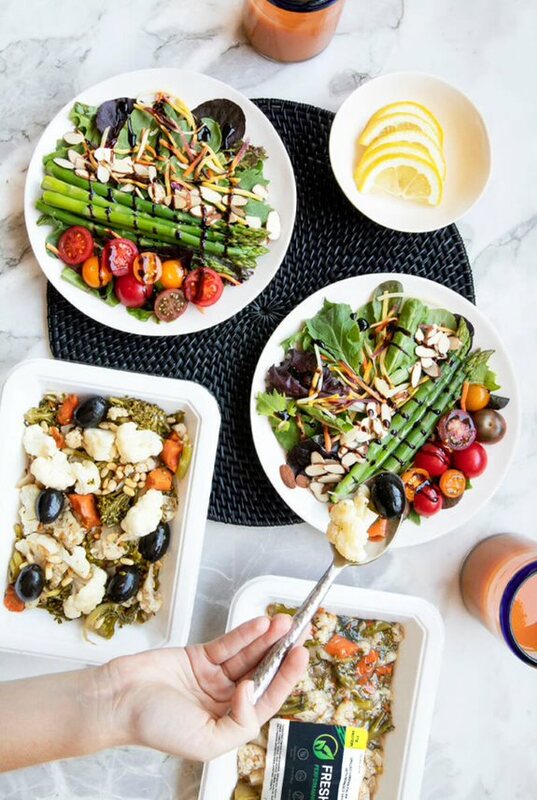 When you order Fresh n’ Lean’s healthy food delivery in Seattle, you can choose to have one, two, or three meals per day prepared for you. Alternately, you can opt for the A La Carte option to hand-select your order. Want an easier way to follow your healthy eating plan? Fresh n’ Lean has your solution. Our healthy meal delivery service in Seattle is tailored to meet your own unique nutrition preferences, providing you with the strength you want consistently. Whether your primary goal is to get rid of fat, improve your health and fitness, or build lean muscle, when you fuel your body right, achieving your goal becomes that much easier. If you lead a hectic lifestyle our healthy food delivery services in Seattle will take away meal preparation stress. Simply take your prepared meals with you wherever you go and you’ll have a nutrition meal all set within seconds. Enjoy delicious, healthy, freshly prepared nutritional meals delivered to your home anywhere in Seattle. If you’re dealing with a health problem such as high blood pressure, eating right has never been more important and with Fresh n’ Lean healthy meal delivery in Seattle, Washington you’ll never go wrong. Whenever you put premium quality vitamins and minerals in your body, you’ll work to reduce your likelihood of disease and keep yourself feeling energized and in optimal health. At Fresh n’ Lean, we pride ourselves on preparing meals that cater to just about any person. Managing your blood sugar levels are important, not just for weight management but also to maintain your level of energy steady. With each of our meals, you’ll have energy all day. All of our meals are cooked to perfection, full of flavorful ingredients that provide you with the optimal amount of carbs, healthy proteins, and fats.